With all of the different food conditions that could lead to the need for surgical intervention to correct them properly, you need to have a team of professionals on your side to give you the right treatment. Mill Creek Foot and Ankle Clinic is your answer when you are searching for the best care for common foot injury treatment and surgery in Redmond. 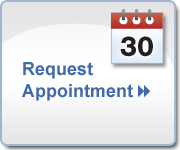 All you have to do is call us to set up a time for an initial consultation, and we will be able to get the treatment process started. For some of our patients, there could be a major injury that will have to be treated by way of surgical intervention for the best chance at healing. However, our staff will always be on the hunt to find the easiest, most non-invasive measures for treatment before even discussing surgery with our patients. A number of ankle sprains and some fractures may be able to be managed conservatively. If you have a simple sprain, we may suggest that you try rest, icing the area, compression, and making sure that the foot is elevated. This is also known as the RICE method, (rest, ice, compression, elevation). When you notice that you are feeling a great deal of ankle instability, it could mean that you have substantial damage that has been done to the ligaments inside your ankle, connecting to your foot. We may have to discuss your options in terms of reconstruction and/or repair of your lateral ankle ligaments. Are you looking for info on foot pain treatment? Call Mill Creek Foot and Ankle Clinic at (425)482-6663 for common foot injury treatment and surgery in Redmond and we will be happy to set you up with an appointment.